Washington State is facing a challenge to maintain an adequate registered nurse workforce to met population needs for the present and coming decades. Hospitals, long-term care facilities, clinics, physicians’ offices, and other healthcare institutions have to compete for nursing professionals by offering higher salaries, sign-on bonuses, open shifts, and other incentives. Within the health care system, nurses face heavy workloads as there are just not enough hands on deck. The American Nurses Association reports massive short staffing in hospital units, forcing many nurses to work overtime. In spite of the burdens, nurses remain motivated by their passion for patient care and their commitment to promoting health. On a positive note, the shortage bodes well for anyone interested in a career in nursing as there are jobs available for newly licensed individuals – even graduates of associate’s degree programs. The demand is not likely to change, as the state works with affected parties to produce, recruit, and retain RNs. Several factors will contribute to a rise in employment opportunities, including an aging RN workforce, population growth especially among the elderly, the Affordable Care Act that gives previously uninsured persons access to health care, and increasing cases of chronic diseases. Nursing education is a continuous process that supports the development of clinical, critical thinking, communication, and collaborative skills. The associate’s degree program prepares students for entry-level clinical practice as a registered nurse. Graduates are eligible to take the National Council Licensure Examination for Registered Nurses (NCLEX) for registered nurses. 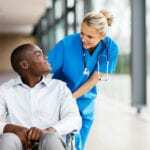 They must apply to the Washington State Nursing Care Quality Assurance Commission for authorization to take the exam and receive a license to practice as a registered nurse. The ADN curriculum includes general education and prerequisite courses that may need to be completed before the core nursing courses commence. Its goal is to provide a foundation on which to build lifelong learn and support growth and development in the area of nursing care. Classroom lectures are designed to impart knowledge of nursing and scientific principles while the hands-on lab sessions and clinical externship in a real-world setting will support the development of practical nursing skills that will ease the transition into the ever-changing healthcare environment. Course topics include human anatomy and physiology, general psychology, microbiology, pathophysiology, adult health, maternal-child health, geriatric health, mental health, pharmacology, communication, public health, and transition to nursing. The clinical externship will be conducted under the supervision of a registered nurse. Students will work in teams to assess patients, develop patient care plans, and care for patients. After completing the prerequisite courses, a full-time student can complete the nursing courses in two years. The associate’s degree in nursing should be stepping stone to the BSN degree or higher, especially since plans are underway to make the BSN the minimum requirement for practice. The best place to start when seeking enrollment requirements in a nursing program is to attend planned information sessions. These sessions are scheduled during the application period of before the beginning of a scheduled semester. The university’s admission department will have a schedule of sessions for your convenience. During the session, you’ll learn more about the requirements for entry, the admissions process, the schedule for the clinical rotation, prerequisite course requirements, and financing your education. Most programs require a criminal record check, immunizations, and physical exam for participation in the clinical externship. The complete requirements will be determined by the clinical site and program administrator. A high school diploma or equivalent is the minimum educational requirement for enrolling in the associate’s degree program. Your scores on the admission assessment. Copies of your social security card, driver’s license, and birth certificate. High school transcript or GED scores. Immunization records, a physical exam report, and TB test results. A criminal background check report. CPR for Health Care Providers card. A history of criminal convictions could not only affect your ability to enter the program but also your participation in the clinical experience and eventual licensure as a registered nurse. Nursing school is expensive. In addition to tuition, nursing students must also budget for the clinical externship, which will require uniforms, tools, proper shoes, and other nursing gear. Transport to the clinical site will be the student’s responsibility. The choice of program will not affect the cost of supplies and uniforms. However, tuition varies widely with the programs at public colleges and universities costing 25 to 45 percent less than private schools. Moreover, grants offered by public universities can further reduce out-of-pocket costs. Financial aid and scholarships made available to qualifying students are some other means of covering the rising cost of tuition. 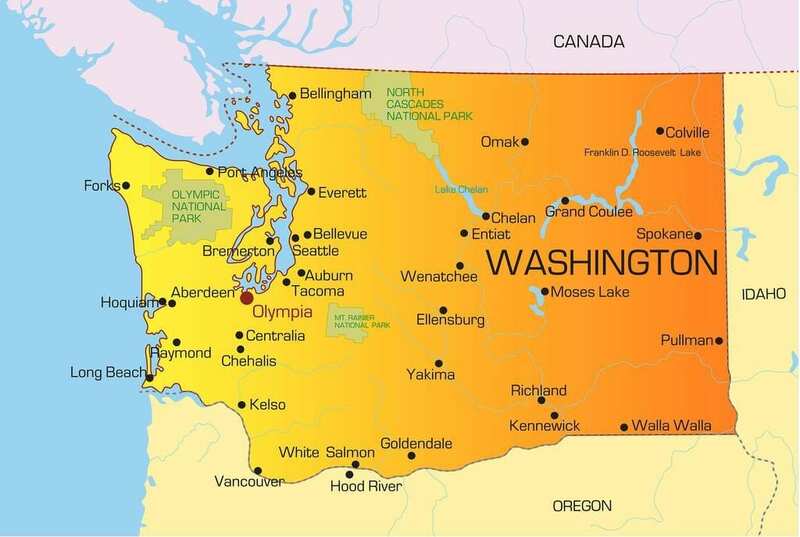 Washington State does not participate in the Nursing Licensure Compact, so any licenses issued will be valid for practice within the state only. All persons submitting an application with an out-of-state address must submit to a state and FBI criminal background check. Spouses or domestic partners of military personnel may qualify for expedited processing of their applications. Apply for licensure by examination if you completed an approved training program and have not taken the NCLEX exam. A current application for licensure is available online. Fill out the demographic information completely, including your social security number, legal name, birth date, address, email, contact numbers, and other names. Sign and date the application indicating that you read and understand the application. Enclose the application fee of $88 for initial licensure. Supply an appropriate explanation and certified document referencing the question if you answer “yes” to any of the personal data questions. List the name of the nursing school where you completed your nursing education. Indicate the degree/diploma awarded and the graduation date. Read and sign the AIDS education and training attestation if you completed training via direct patient care, self-study, courses, or formal training. Register for the licensure exam at Pearson Vue. If you a spouse or registered domestic partner of a military service member, you may be eligible for an expedited processing of your application to receive your credential. You must submit a copy of your spouse’s military transfer or and a copy of the marriage certificate or state’s declaration or registration showing domestic partnership. You will have to submit fingerprints for a criminal background check, through the State Patrol and the Federal Bureau of Investigation, if you list an out-of-state address on your application. The Board will issue a temporary permit pending completion of the background check if you meet all other requirements for licensure. If you were trained outside the United States, you must complete the following additional steps to obtain licensure in Washington. Have your transcripts evaluated in a course by course evaluation by the Graduates of Foreign Trained Nursing Schools (CGFNS), or Education Records Evaluation Service (ERES), or the International Education Evaluation Service (IEEF). Pass the Test of English as a Foreign Language (TOEFL) or International English Language Testing System (IELTS) of you received your education outside the United States – some countries are exempt. Check the Board for exemptions. Register for the NCLEX after the Nursing Commission approves your application. Submit fingerprints for the background check if you list an out-of-state address on the application. A registered nurse who is licensed to practice in another state can apply for licensure by endorsement to work in Washington. The nurse’s license should be unencumbered and active. Enclose the application fee of $88 for initial endorsement. Verify your RN license by visiting Nursys.com and paying for the service. If your state of licensure does not participate with NURSYS, use the Non-NURSYS verification form to complete the verification. Submit transcripts to verify your education if it cannot be verified using NURSYS. The nursing program must send transcripts directly to the Board of Nursing. Submit proof of English proficiency if you received your nursing education outside the United States. Submit a copy of your current or active RN license. Registered nurses must renew their licenses annually on or before their birthday. Registration every year on or before their birthday. The Board will mail a courtesy reminder 90 days before the expiration date. If renewing by mail, the renewal must be postmarked or received by midnight of the expiration date or a late fee will be applied. To renew by mail without a renewal notice, send your payment and documentation of your name, credential, and mailing address to the licensing unit. To renew in person, visit the office on the Tumwater campus Monday through Friday to submit your renewal fee. The office accepts cash, check, money order, and debit or credit cards. Renew your application online if your license is active. The renewal fee is $97. The late renewal penalty is $50. It is important that you maintain updated contact information with the department to receive notices related to your license. A continuing competency requirement is in place for registered nurses. You must complete 531 practice hours and 45 hours of continuing education hours every three years. You must keep documentation of the continuing education hours and attest to meeting the practice and continuing education requirements. The documents should not be submitted to the Nursing Commission unless requested for an audit. The provision of grants to help Washington state colleges training more nurses is a sign of a shortage of qualified nursing professionals. Organizations, such as the Robert Wood Foundation, provide grants to states where the aging population places pressure on the health care system by increasing demand for services. Grants not only target up and coming nurses but also practicing nurses who need to advance their education. There are more than 81,000 licensed registered nurses in Washington, but with current demands, the state needs an additional 3,800 nurses. There will be a 21 percent vacancy rate by 2031 meaning 18,000 will be needed to care for the population. The nursing shortage presents opportunities for potential nursing educators as much as for practicing nurses. As a nurse with a bachelor’s degree or higher, you may have the opportunity to teach other nurses and earn extra money. Teaching opportunities for BSN nurses may be limited, but they are available. As a member of faculty, you may also benefit from loans and other incentives for continuing your education. Since demand is so great, nurse graduates have no trouble finding a job. Moreover, local employers are using sign on bonuses, competitive salaries, tuition reimbursement, and other incentives to get the best-trained nurses on board. Washington RNs earn a salary of $76,420 annually.